Under the changes, the VA continues to determine whether individuals are veterans or service-disabled veterans, and is responsible for verification of applicant firms for listing in the Vendor Information Pages (VIP) database. Responsibility for adjudicating challenges of the status based upon issues of ownership and control is now to be determined by administrative judges at Small Business Administration’s (SBA’s) Office of Hearings and Appeals (OHA). These newly implemented rules are an attempt to resolve inconsistencies between SBA and VA regulations that have led to conflicting decisions about a company’s qualification for set-asides. The standard for reviewing a VOSB or SDVOSB’s eligibility is “totality of the circumstances,” with the burden of proving eligibility falling on the applicant. Decisions based on an applicant’s failure to meet any veteran eligibility criteria are not subject to appeal; however, an applicant can re-apply and submit a new application six months after denial. The changes also clarify the process for removal from the VIP database and expand the reasons for removal to include having tax liens and unresolved debts. Other removal criteria include being found guilty of or involved in criminally-related matters as well as debarment of any individual owning or controlling the business concern, as well as submitting false information to VA. The VA is not providing an additional level of review, but merely acting on determinations issued by courts or other administrative bodies. Further, bankruptcy has been added as a changed circumstance that can lead to a contractor’s removal from the VIP database. 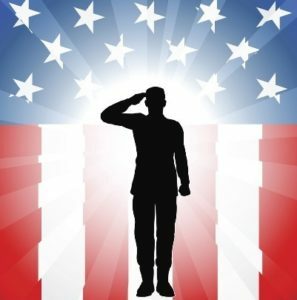 The new rules clearly define VA’s role in determining whether individuals are veterans or service-disabled veterans, and responsibility to determine the ownership interests of those individuals now ultimately falls on SBA, subject to appeal to OHA.